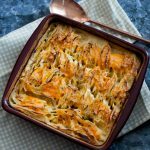 Somewhere between potatoes au gratin and the Hasselback potato, this ranch Hasselback potato casserole is a tasty side dish with everything you love about both dishes. 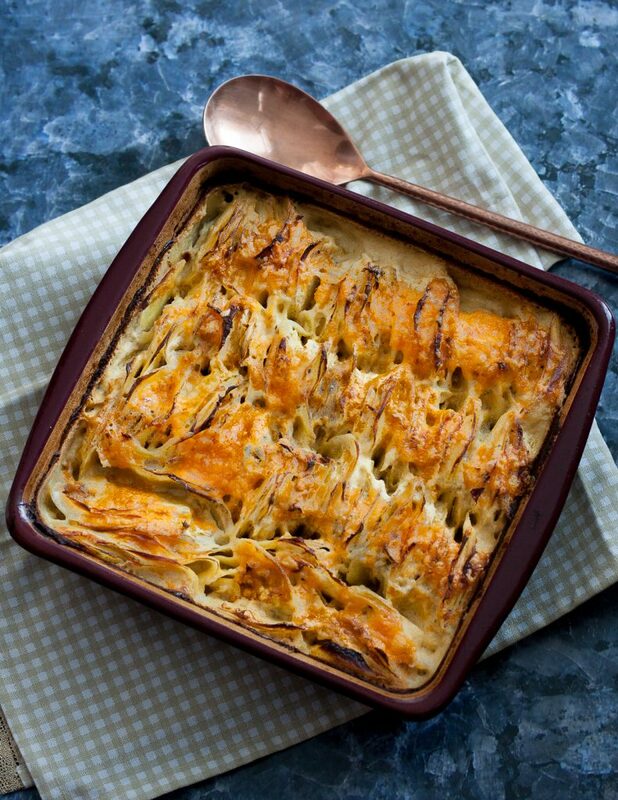 Crispy potato edges and a creamy, cheesy sauce. The NYT Food section sends me on “I must make this!” cooking tangents more often than I should admit. Like last year, when they posted a recipe for a Cheesy Hasselback Potato Casserole and, after I showed it to the Godfather, it was dinner. Not a side dish, just dinner. With an egg. Thorough enjoyment ensued and the Hasselback potato casserole replaced au gratin potatoes and Hasselback potatoes in our home. At least, for the moment, as we have neither too frequently. When I first discovered I was expecting #2, I developed a hyper sensitivity to smell, as many expectant mothers do. For a little while, I had to be cautious as to which stronger flavors I used to season foods (other than garlic – no issue there) so the smell wouldn’t overwhelm me. We ate a few more potatoes and mild foods for a couple weeks until that passed. During that time, I came up with this ranch Hasselback potato casserole. The ranch flavor is mild, and blends perfectly with cheddar. The Godfather dubbed it one of those “instant classic” holiday sides. Given his partiality to classic potatoes au gratin as an occasional potato indulgence, this is big. The key is slicing the potatoes very thin, but you don’t have to worry about leaving a base as you do with Hasselback potatoes. You could do this by hand, but why? 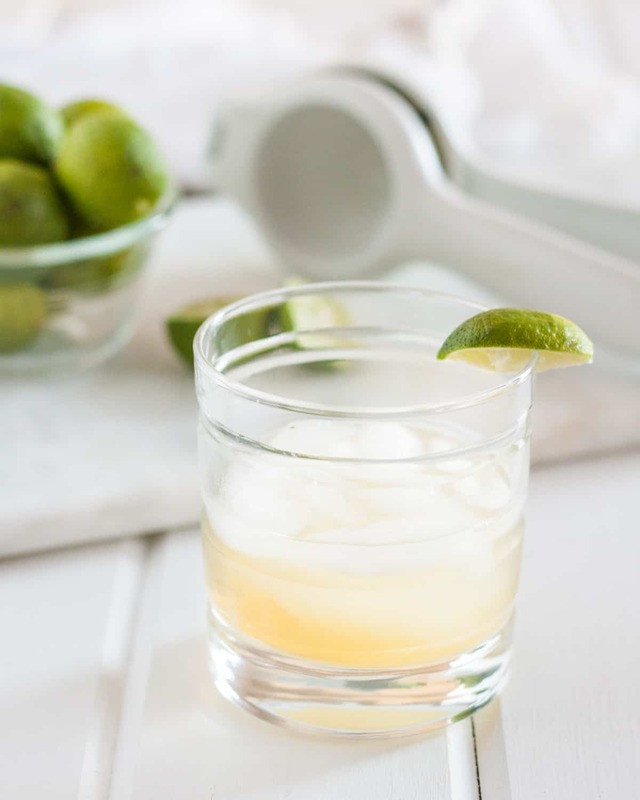 It takes a little bit of time, and you probably have a kitchen tool to make this task easier. A mandolin slicer using the thin slicing blade works well, but I use my Kitchenaid slicer attachment for my mixer. As long as you start with potatoes that are approximately the same diameter in width, this is the quickest way to slice this many potatoes for a casserole. 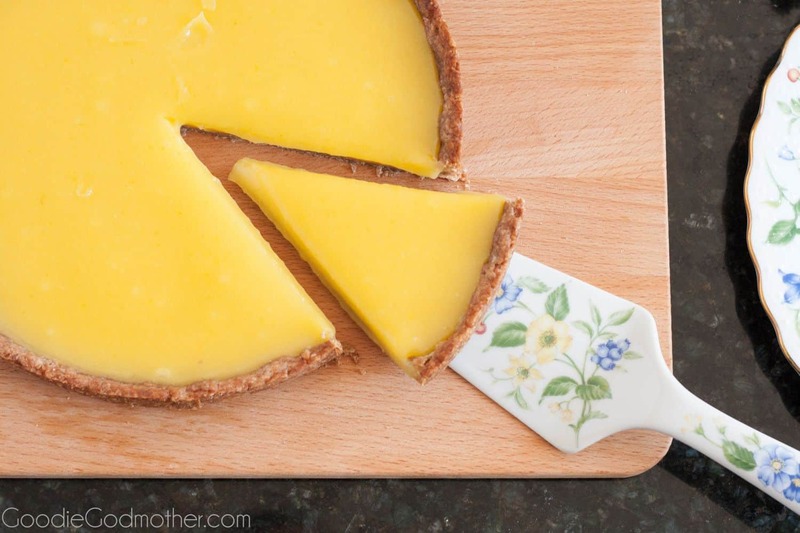 And trust me, if you’re making this, you’ll want to save any time you can on the slicing. The rest is easy. Once you’ve sliced the potatoes and arranged them in the casserole dish, mixing everything else is easy. In fact, this is a dish I’ve prepared a few times and I’m getting to where I like to prep the day before I bake. 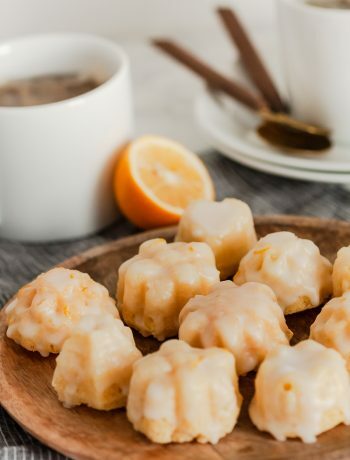 It saves time and makes the recipe more approachable since the baking time is rather lengthy, especially if you’re working it into a holiday meal. This is definitely an easier side to feed a group at a dinner party than trying to make individual Hasselback potatoes. Simple is wonderful! 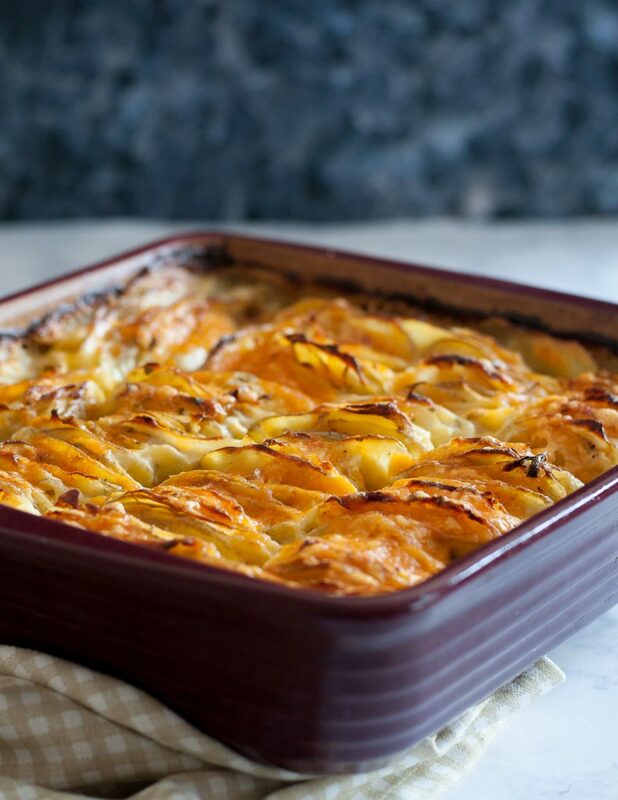 You still get the lovely crispy edges and thin flaky potato slices, but in casserole form! I hope you enjoy this ranch Hasselback potato casserole recipe, darlings! In a large mixing bowl, combine the cream half the cheddar, and garlic. Set aside. 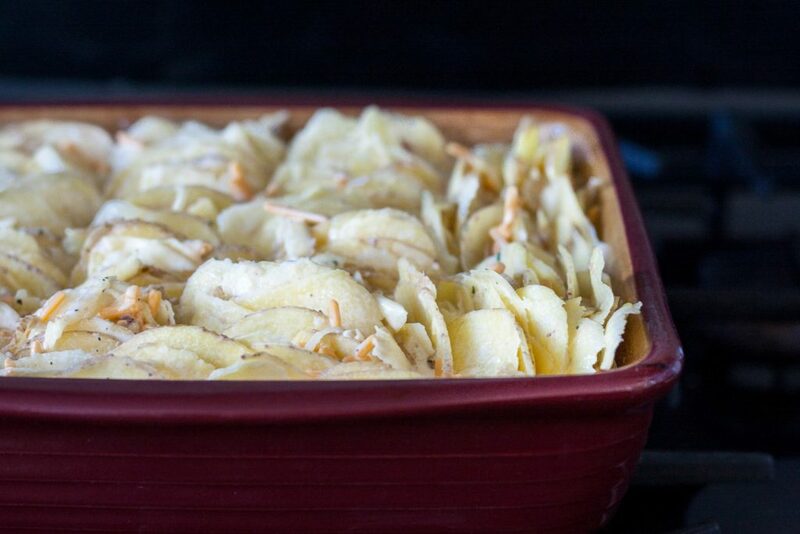 If you are baking immediately, preheat your oven to 400 F.
Slice your potatoes very thin. You should be able to see the knife passing through each slice. A mandolin or slicing mixer attachment helps. Place the sliced potatoes in the mixing bowl with the heavy cream mixture and stir to coat evenly. Lightly spray a 9x11" casserole dish with oil or nonstick spray. Arrange the potato slices vertically in rows in the dish. You want to pack them tightly enough that the slices stand on their own, but you shouldn't have to pack so tightly you need to force potatoes into the pan. Cover with aluminum foil. At this point, you may opt to refrigerate your casserole until the next day and bake then. Be sure to look for potatoes that are approximately the same diameter in size. This will help you achieve the nicest look. You may also want a few extra potatoes on hand to be sure you have enough to fill your baking dish.